This book brings together a series of contributions which examine the processes of contemporary city development and urban planning in Japan. A central theme of the book is to consider, from a range of perspectives and situations, the role, policies, methods, and effectiveness of planning in guiding city development in Japan and in addressing present and emerging urban issues. Areas of particular concern include inner city development, the urban periphery, the institutional and regulatory context of planning, and planning for urban and regional economic and technological change. In many instances, the book draws parallels between Japan's urban experience and planning approach with those of Europe and North America. Earlier versions of all but two of the chapters were published in issues of the Town Planning Review, but not only does the book have the value of bringing these contributions together in one volume, but it has also allowed the authors to revise and update their work and incorporate new developments. The editors have contributed a substantial, reflective introductory chapter and have also included a chronology of Japanese planning legislation and an annotated guide to selected English-language literature on Japanese urban and regional planning. 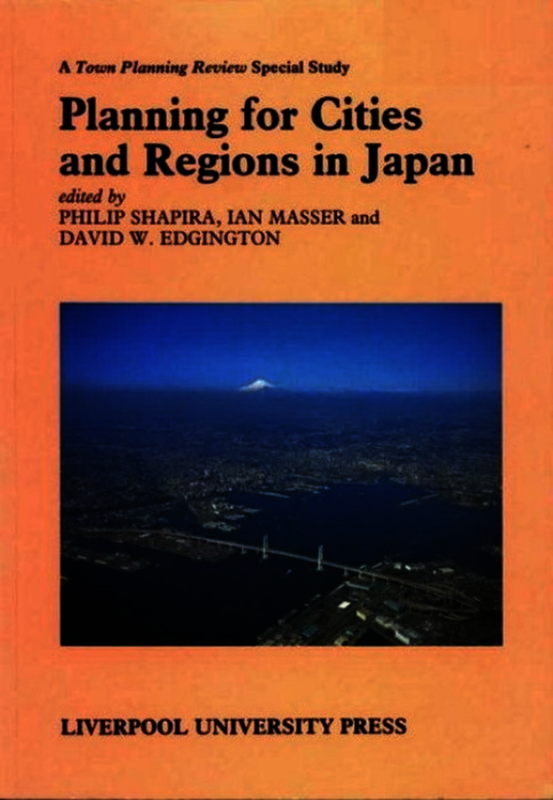 While the main aim of the book is to provide a detailed interpretation of current urban planning issues and policies in Japan, the chapters also provide a foundation for understanding how Japanese city planning may evolve in the future.